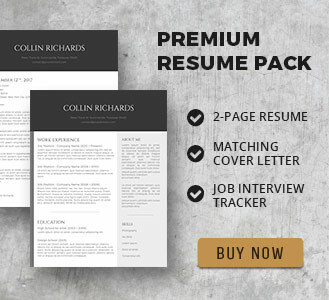 The simple resume, often also called the “basic” or “classic” resume is a time-tested format to pick for any career field, especially if you don’t have much job experience yet. 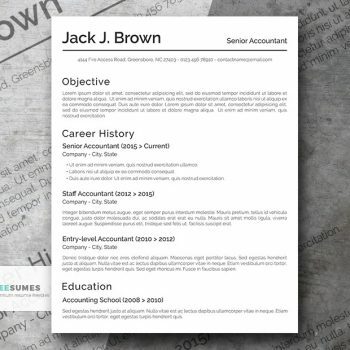 A basic resume will help you present your skills and work experience in a very structured, concise way and prevent you from being screened out during that initial round. You want that phone call? Then pick a simple resume template! 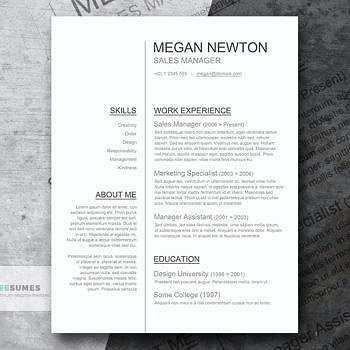 Simple resumes are called “simple” for a reason – their structure hasn’t changed much in the past decade. But… classic does not mean old school. Your name and contact information still go at the top. But, because nothing occurs by “snail mail anymore, dump the physical address. Opt for your phone number and email address. Work history is always chronological, just as in days of old. You begin with the most recent or current position and work backwards. Years ago, it was sufficient, with the classic resume, to simply list job tasks and responsibilities. This has given way to listing accomplishments and results instead. Speak to your successes in each position you held. Forget the unique fonts, colors, etc. You are crafting a traditional document with traditional formatting. Verb tense must be consistent. Use past tense for previous jobs and present tense for your professional summary and current position. 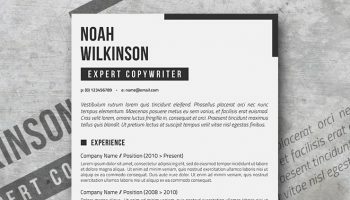 If you wish to use a free Word resume template, make sure that you have fixed all the things outlined above or opted for a “fresh” template. 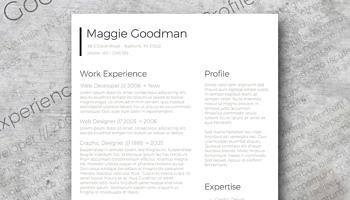 The classic resume is more conservative than other types of resumes, e.g. 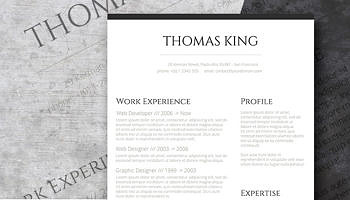 creative or professional resumes. So, as you craft a resume with a specific format, think about the organizations to which you are sending that resume. You may indeed use different formats and templates based upon the “culture” of the company or organization to which you are applying. So make sure you did your homework and researched the company in advance! Typically, employers who want the basic resume are conservative. These will be financial institutions, accounting firms, investment groups, many universities, large insurance companies, some non-profits, and such. 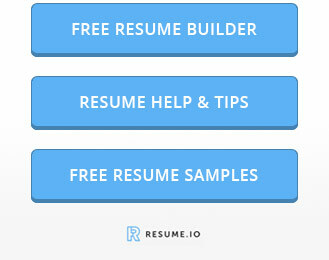 In fact, up to 75% of recruiters and hiring professionals use some sort of a recruiting or applicant tracking system to assess and pre-screen potential hires. 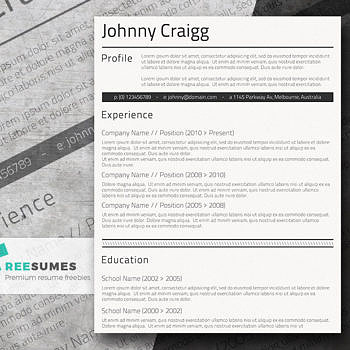 A simple resume template will help you get by that software with ease! 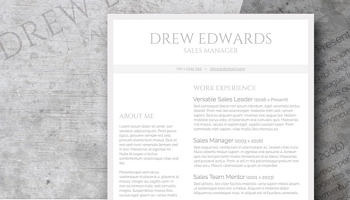 Still not sure whether you should use a classic resume template? Here’s our last bit of advice: get on the employer’s website and browse a bit. Is the language formal? How are the employees dressed in photos? This way you will get a good “feel” for the culture and know whether the classic format is one you should use. 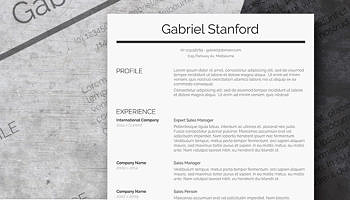 And if it’s a “yes”, go check the stylish and classic resume templates lined up by our team!